Is the iPod touch being phased out? iPod touch to be updated? With the announcement of the iPhone price drop, a lot of rumour and speculation has surrounded what will happen to the rather expensive iPod touch. Currently a 32GB touch sells for just under £300, while the smaller 8GB version will set you back £190. Both prices are steep in comparison to the now-free iPhone (albeit with a hefty tariff). 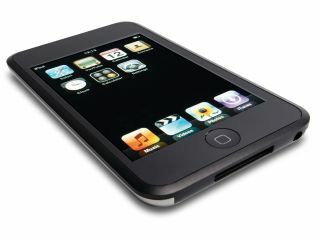 Appleinsider is reporting that supplies of the iPod touch are diminishing. The website is also hinting that the reason for this decrease could be a rumoured new model due for release in September. At the moment, the iPod touch does seem to be due an update, though the 32GB is fine for those that want to put their music collection on to the device. But when it comes to loading up on images and movies 32GB just isn't enough. Now, if the Flash memory was boosted to 64GB, then the iPod touch would become a very enticing product indeed.